Glasgow, please forgive us. We're sorry it's taken so long. Finally, the CeX you have demanded is open in Glasgow. We hope you'll agree it's a worthy flagship CeX for Scotland? 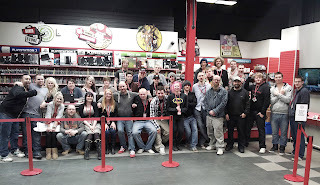 Judge for yourself at CeX Glasgow, 28-40 Union Street. We're next to the legendary Goose Pub, famous for its reasonably priced ales, and a mere minute stroll from Glasgow Central Station. You find two huge floors covering every product category CeX buy, sell and exchange. If you're new to CeX, and after all we were all CeX virgins once, this covers gaming, film, phones, computing, electronics, vision and music. That's a serious combinations of reasons why you need visit CeX Glasgow now. 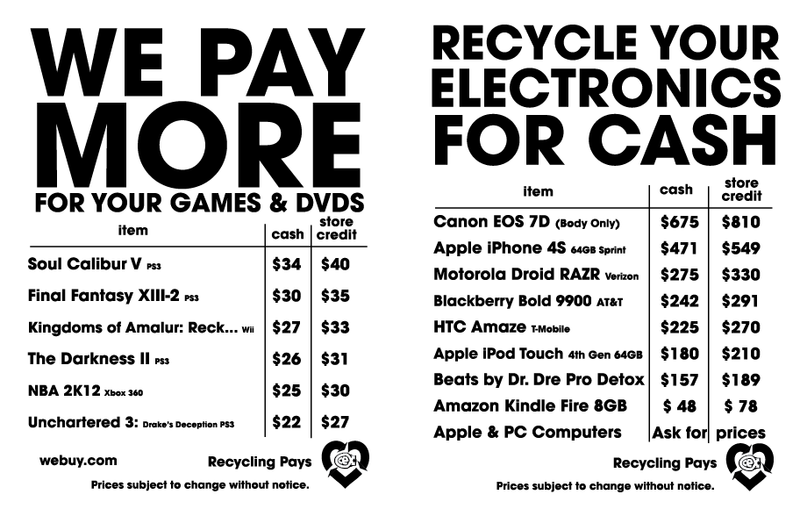 Why not bring your unwanted gadgets, DVDS and games and we'll buy them for cash or exchange them for something you really want instead? 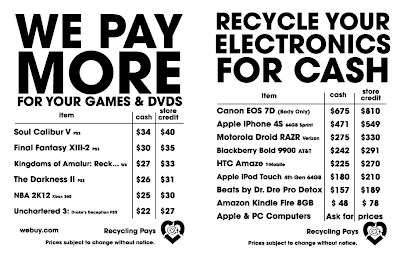 You can also trade in and transform lives with at CeX which allows you to donate some or all of the value of your stuff to charity. 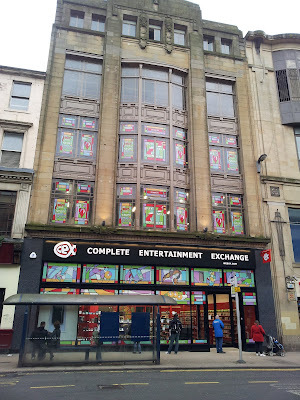 Keep your eyes peeled for more Scottish CeX stores opening this spring. We'll drink to that! 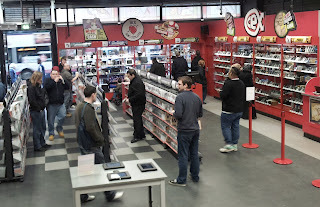 CeX Glasgow's map and opening hours can be found here and your nearest CeX store here. With the PS Vita out this week some of you may be wondering which games to choose. After considerable time spent with the launch titles, I'll narrow it down for you in my list of the top 5 Vita launch games. It’s absolutely no surprise that Sony’s flagship series has taken the reigns as the key launch title for the PlayStation Vita. At first glance this is every bit the Uncharted game you’d expect with a great story, lots of exciting action and plenty of thrilling set-piece segments. However, the developers Sony Bend have insisted upon including almost every single one of the Vita’s different interaction mechanics into the game, making Golden Abyss feel at times, like a tech demo. Indeed when the Vita leaves Drake alone, you will feel right at home in another excellent instalment of the Uncharted series, but when Sony Bend try to show off everything the Vita can do, you can’t help but feel yourself come out of what is a very immersive experience. Set as a prequel to Uncharted: Drake’s Fortune, Nathan Drake returns once again to track a voyage across Central America. Nolan North and all the voice-cast you have come to know and love reprise their roles as key characters from the series. Alongside them, a host of new characters are also introduced, although in comparison they seem bland and offer no real incentive to become emotionally attached to. Golden Abyss will see you rummage through a variety of jungle locations, caves and caverns and the Vita’s immense graphical power ensures every environment, character model and explosion is simply beautiful. Golden Abyss plays in an identical manner to any other Uncharted game but there are times where the Vita’s extra mechanics come into play. The touch-screen can be used to easily navigate Drake as he climbs and moves his way around obstacles, you can perform combos by pressing icons that appear on the screen mid-action and almost all the puzzles require you to get hands on with them. While this isn’t a bad thing, it just seems unnecessary and I found that at every given moment I could play with the Vita’s fantastic face buttons, I would. I didn’t enjoy mashing my screen and getting my fat thumb in the way of the action, rather it felt like a choir I was forced to do by Sony Bend while they continued to prod the Vita’s features in my face. This pompous attitude continues with Vita’s gyro mechanics as you can tilt the machine to make Drake lean in a particular direction then jump – all of this at times was completely unnecessary. Ultimately when the Vita’s mechanics stayed away from the action this was a very impressive Uncharted game, especially the latter half of the experience and one that all fans of the series will undoubtedly enjoy. Ninja Gaiden is an iconic action adventure game that every modern gamer simply has to play, there’s literally no excuse if you haven’t played one of Tecmo Koei’s many re-releases or revamps of this fantastic title. If you haven’t, you are graced with another opportunity as Ninja Gaiden arrives on the PS Vita in the form of Sigma Plus. Ninja Gaiden tells the story of Ryu Hayabusa, a ninja that seeks revenge after his village and clan were decimated amidst a clan rivalry. Your journey will take you across a wide variety of environments that encompass a whole host of fantastic enemies and clever boss characters. Ninja Gaiden has always been known as a pinnacle action adventure title and this is obvious from the outset as a perfect difficulty curve is coupled with intuitive game mechanics, great level design, enemy design, story and pacing. The transition to the Vita in large is a successful one, with new touch-screen controls intertwining with the already engaging and fast-paced combat. The game looks sharp although it’s a real shame that Ninja Gaiden naturally is quite a dark and grey game, meaning the vibrant OLED screen is never really used to its full capabilities here. Unfortunately, Ninja Gaiden continues to suffer from the minor issues it faced all those years ago during the initial launch, with sub-par loading times and an occasionally awkward camera angle helping to frustrate you at every turn. That being said these really are minor issues, especially if you consider how good the rest of the game really is. If you’re looking for a challenging, exciting and fast-paced action adventure experience or just fancy replaying an iconic game, then Ninja Gaiden Sigma Plus is absolutely the right launch game for you. Touted as one of 2011’s best games, Rayman Origins is a phenomenal platformer that makes a perfect transition to Sony’s new handheld and brings a colourful double dose of carnage and fun – make no mistake about it, Rayman Origins is the best platformer we have seen in this entire modern age of gaming and is a testament to the roots of video gaming. Origins is an excellent example of a game that is pushed entirely by gorgeous artwork design. Right off the bat you will be stunned at how beautiful this game really is and the gorgeous OLED screen really helps illuminate all of what’s so beautiful about Origins. Every character model, environment, heck even every speck of dirt has personality in Origins, making each new level a joy to play through with the excitement of what’s on the next screen constantly pushing you forward. It also helps that Origins controls are faultless too. Continuing the simple notion of platforming, Rayman and his friends can jump, attack and perform particular special moves that you eventually learn from each unique world. This of course opens up opportunities to go back to previous levels and find hidden areas and goodies that you previously couldn’t access thanks to a lack of a particular power. What’s really disappointing however, is the 2-4 player cooperative mode that made Origins such a huge success on home consoles has been entirely omitted on the Vita. This is staggering considering the handheld supports local and online play and how they could take away such an important aspect of Origins will continue to baffle me for months to come. To compensate the developers did introduce some new features including a Ghost mode that acts as a time-trial, but this is in no way as substantial as the multiplayer present on the home console versions. That being said, Rayman Origins is so freaking good that even without the multiplayer it’s probably the stand out launch title for the Vita. Those of you who haven’t picked up this game or have been put off but its apparent childish looks absolutely need to get this for your collection because you will love every single second with Rayman Origins. With the amount of hours I’ve clocked on FIFA 12 already, I was going into playing FIFA Soccer very conservatively because ousting the home console version was never going to be an easy task. FIFA Soccer sticks strictly to EA’s roots and keeps gameplay almost identical to the home console versions. Players move with the same elegance, pass with the same intelligence and score with the same ferocity, this is a FIFA game through and through. The incorporation of the Vita’s touch controls are hit-and-miss. Using the touch-screen to pass the ball is utterly pointless, you lose sight of the pitch and it’s impossible to string together any set of passes, thank goodness this is optional. Using the track-pad on the back however, is a whole load of fun. The track-pad acts as the goal and you touch where you want your shot to go and hold down for the amount of power you want to put in. This is a very intriguing and intuitive way to play FIFA and kudos should be given for the clever way this mechanic has been implemented. Once you get to grips with this control mechanic, it becomes all too easy to score goals, giving you an unfair advantage against other players. All the same game modes are present in FIFA Soccer, allowing you to play against other players online, get stuck into a career mode or just have some fun in exhibitions. EA have done a very good job at porting over FIFA and players looking for a football fix on the go will be pleased that they can play a game of such high quality on a portable device. Ultimate Marvel vs. Capcom 3 is a direct port of the PlayStation 3 version of the game. If you enjoyed the hectic 3 on 3 brawler or have been interested in trying a game in the beat-em-up genre, then this is a perfect opportunity to do so. UMVC3 is a fast paced arcade fighting game that encompasses both the Marvel and Capcom universes. If you ever wanted to know who would win between a team of Spider-Man, Captain America and Hulk against Ryu, Guile and Dante, then you’ve come to the right place! I’ve consistently been talking about how well thought out the Vita’s face buttons are and how impressive the D-pad is, well here’s where that D-pad comes in handy. Owners of the PlayStation Portable had a nightmare playing any form of fighting game due to the difficulty in pulling off moves using the old D-pad, well I had no issues at all in performing any of the more advanced combos available in UMVC3. From a technical perspective the game runs as fluidly and efficiently as the home console counterpart. The fantastic animation really helps once again to emphasize just how impressive the Vita’s OLED screen really is, characters bounce around the screen in fantastic fashion and your eyes will light up at all the beautiful colours and explosions.If you need a fighting fix then Ultimate Marvel vs. Capcom 3 is definitely the better choice on launch as BlazBlue is quite a complicated brawler reminiscent of the Guilty Gear series. A large roster of characters, great gameplay and all ported very well onto the handheld makes this a great title to start your Vita collection with. If those games don’t tickle your fancy then have a look at the other launch titles including Unit 13, Little Deviants and Wipeout 2048 amidst others. While not a completely innovative line up by any stretch, this compilation of games above all else really shows the potential and gaming power the Vita possesses. If this is only the beginning then I hope you are like me and very excited to see what star-studded list of games are going to make their way to Sony’s portable device. With the UK launch of Sony’s machine this week and plenty of game time clocked on an imported Japanese model, it’s time I gave you a run down of the PlayStation Vita and what you can expect from this brand new handheld monster. The Vita is a technically an impressive piece of technology; boasting a 5” OLED screen with a 960 x 544 panel to allow for some of the most vibrant and beautiful visuals you will ever see on such a small device. Those who describe the Vita’s graphical power as that of the PlayStation 3 are not far wrong as games like Uncharted: Golden Abyss mimic the quality of Uncharted: Drake’s Fortune almost perfectly. The screen also shows off impressive multi-touch capabilities, allowing for further ways to experience the games you purchase. The button layout is also impressive with everything spread favourably across the Vita. Two analogue sticks are a welcome addition to a portable device, giving the machine a very reminiscent feel of the DualShock 3 controller, while the face buttons are a great size and feel precise with every push of a button. The Vita also has a really impressive D-Pad, which is incredibly important considering the beat-em-up genre will be having a strong launch with Ultimate Marvel vs. Capcom 3, BlazBlue and Mortal Kombat 9 following shortly on the device. You will also find a trackpad on the back of the Vita, which Sony hope to use in interesting and innovative ways. A camera on the front is paired with the camera on the back and a whole assortment of slots are present for a Sim card (3G only), Sony’s own Memory unit, an as of yet unidentified connector (which we assume could be HDMI output) and a standard headphone jack. So on paper this sounds like a seriously cool piece of technology, but how does it perform and more importantly, what are the games like? At first glance the Vita is all about ease-of-use. The moment you boot the device and view the strikingly simple User Interface, you will understand that this machine is just designed to get you to your content without any issues. But then you notice that you can’t use any buttons and the Vita’s menu is touch screen only and you immediately think to yourself, “what’s that about?” There are of course many similarities to iOS and Android because why wouldn’t Sony try and implement what is a very successful interface system, but it just doesn’t have the same appeal as your mobile phone or tablet. All your applications and games are shrunk into little bubbles that can be accessed with a simple touch of the screen and the more you download and install onto the Vita the more pages of bubbles appear. It’s by no means difficult to find your way around, but it’s completely ludicrous that Sony have spent so much time both on the PlayStation 3, The PlayStation Portable and all their TV’s to ensure everyone knows the Sony X-Media bar, then out of the blue completely remove it for this new interface, why try to fix what is not broken right? Another big issue with the Vita is the requirement of an exclusive Vita-branded memory card. You see the Vita has absolutely zero on-board memory and games like Uncharted literally don’t even boot unless there’s a memory card in the machine. Vita games can be bought physically or purchased digitally and will range from 500mb to 3.5gb in size, so a big memory card is almost essential for anyone looking to use their Vita as a multimedia library as well as a gaming platform. Sony have introduced an app called Near, which for the sake of simplicity I will compare to iTunes as it merely allows you to move games back and forth between your PS3/Computer and Vita. So those of you who don’t purchase the 16gb memory card will still be able to alternate the games you can play. So after some time with the Vita I was not wholly impressed with the User Interface and software, but did the games sway my opinion about Sony’s new portable device? I’ve had time with Uncharted: Golden Abyss, Unit 13, FIFA Football, Ultimate Marvel vs. Capcom 3, BlazBlue and numerous other games, so stay tuned to CeX for reviews on all the launch titles. Comparing the graphics to that of the PlayStation 3 is an absolutely fair comparison. Ultimate Marvel vs. Capcom 3 for example, is a direct port of the PS3 version of the game, meaning it brings over all the game modes (apart from Heralds), stunning visuals and fantastic gameplay. The Vita really is an absolute beast and after putting in substantial hours, there are no issues with frame rate and my only quirk is the loading times can be quite long. I won’t go into much detail about the games themselves now but the reviews will be with you shortly, but I was truly impressed at just how good the games looked on that phenomenal screen and how easy it was to play on the well-crafted buttons. The Wi-Fi or Wi-Fi & 3G? Some of you may be aware that the Vita will be arriving in two forms, well they’re identical in every way aside from one will allow you to sign up with Vodafone and use 3G functionality. The 3G option will restrict all downloads to 20mb meaning you won’t be downloading anything massive on your travels, but access to the Internet and certain features will be available. Ultimately if you’re going to download anything at all substantial, you’ll be jacking into your Wi-Fi or a hotspot, so with that in mind you can make your decision as to what version to purchase. The Internet functionality is somewhat clunky at the moment and it just feels like the Vita really struggles to load any websites effectively. I hope for the sake of the system that updates and patches will be released as soon as possible to help smooth out these little issues. On that note, you should definitely consider picking up a PlayStation Vita Wi-Fi model at the very least. Above all else this is a mini-PlayStation 3 and that should be damn impressive in anyone’s eyes. The Vita has a whole host of cool capabilities but what’s really important is the ability to pull the Vita out of your bag on an airplane, bus, train, car or anywhere you find some spare time, and play PlayStation 3-like games on the go. From a technical perspective the handheld is incredibly impressive and while it fails to really use 3G effectively and has some issues with the User Interface and web browsing, as a gaming platform it is incredible. The rest of these quirks can very easily be patched and updated to eventually make the Vita a well-rounded multimedia device, but for the time being, it’s a super-powered mini-PS3, which is by no means bad in my eyes. The PlayStation Vita is a visually and technically impressive device that boasts features you wouldn’t have dreamt of seeing on a handheld a few years ago. The beautiful screen is absolutely the standout selling point but dual-cameras, a very impressive button-layout and a nifty trackpad really make this a great piece of technology with lots of potential to be an essential in your bag during your travels. The Vita is built like a tank there’s no question, but it’s very difficult to be a master of everything and the Vita sports some rather disappointing applications and uses. The change in User Interface is questionable, Internet browsing feels sluggish and the Near app isn’t anywhere near as extensive as something like iTunes, rather is nothing more than a set of folders. However, patches and continuous upgrades give hope to the Vita’s software. The launch line-up while not innovative, does sport a brand new Uncharted game, which is very awesome. Above all else, the list of games show the power of the Vita and that the PlayStation 3’s catalogue will merge with the handheld, meaning AAA titles that we all love and enjoy will continue making their way onto Sony’s new portable device. I think the PlayStation Vita is overall a solid gaming device that is essential for anyone looking to play high quality games on the go. Lots of debate is currently circulating about how the Vita’s high prices will compete with the modern ‘social gaming’ platforms on phones, but this machine isn’t designed for the casual gamer, far from it. The PlayStation Vita is here for you, the gamer, and it will bring you the biggest games because guess what, it’s here to stay side by side with the PlayStation 3. What makes a protagonist engaging to an audience is if said audience can relate to the heroes’ problems and issues. Catherine puts you in the shoes of Vincent, an ordinary guy who just can’t seem to get his love life in order. His struggle resides predominately in his nightmares where he is forced to overcome a barrage of intricate puzzles that are manifestations of his problems. Vincent is a great protagonist, one that many people could relate with – coupled with a terrific set of characters, narrative and very engaging puzzles; Catherine is certainly an experience unlike anything you’ve ever played. What makes Vincent such a terrific lead character is his average Joe nature – he doesn’t like change, if anything it scares him. His current relationship with girlfriend Katherine is leading ever closer towards marriage and Vincent is by no means embracing this proposed future. While sorting his thoughts out at his favourite bar The Stray Sheep, Vincent meets a beautiful and fun-loving girl called Catherine – the polar opposite of his Katherine. Catherine clearly represents freedom and living for the moment, while Katherine leans towards a direct future and lockdown for our hero. Needless to say, his urges win and Vincent wakes up in bed with Catherine the next morning. Stuck in a position where no man wants to be, Vincent can’t choose between the girls before him and as a result, tries to find comfort and consolation from his friends. The narrative is excellent throughout and the storyline is told through beautiful anime-style cut scenes. It is so easy to care for Vincent and want to help him find independence and the answers to his problems. Even both Katherine and Catherine are engaging characters and female gamers who have experienced an unfaithful man will be able to consolidate with the situation and embrace their attitudes towards Vincent, who through his actions can also be considered an anti-hero. Catherine operates using two different game mechanics by splitting the day into two sections. During the day Vincent roams The Stray Sheep and here you talk to your friends, mingle with locals and strangers, answer text messages from both your ladies and watch the news reveal mysterious murders that are somehow related to Vincent’s dreams. The text messages in particular impart a sort of morality system into the game. However, it is implemented in such a way that the boundaries between good and evil are difficult to judge and stick to as you are subjected to choices that test your loyalty and resolve, as opposed to how much of an angel or devil you are. The fact that Vincent is cheating doesn’t necessarily make him a bad person, in fact his personality will lead you to believe that everyone makes honest mistakes when they are trapped in loops of unhappiness and don’t tackle them directly. The fact that Catherine makes this system quite complex allows you to answer in a more honest manner, as opposed to trying to follow a particular path to unlock one of the various endings available. Vincent’s major problems really come to life during the night portions of the game. His nightmares are home to the gameplay element of Catherine, the puzzle towers. Your goal in these sections of the game is to climb to the top of the tower by moving blocks, avoiding traps and overcoming some incredibly difficult bosses. Dramatic audio compliments your torturous climb to the top and the visuals ensure you are just as terrified as you are tense, with Vincent’s nightmares coming to life in a dark and twisted fashion. Moving blocks and climbing up doesn’t sounds particularly difficult, but rest assured that Catherine is a seriously tough game, so tough that the difficulty curve may be just too much for some gamers. You must arrange blocks in a methodological fashion, meaning just like in chess, you are forced to think way ahead. There are so many stumbling points throughout each level that checkpoints seem way too far apart and some tricks Catherine throws at you will leave you in frustration. Nevertheless, the puzzles are well thought out and a strong sense of satisfaction will be achieved when you finally get to the top of each tower. This level of mayhem occurs in just basic levels – when you get to the bosses, you could very well break down and give up. Bosses have lots of cruel tricks at their disposal like reversing your controls, moving you around the tower, nullifying blocks and to the games detriment, the camera circles to show you the boss, which totally messes with your perspective and can leave hanging for dear life. Catherine keeps going back to the idea of relating to Vincent and indeed you will replicate his happiness and sheer delight when you get to the top of a puzzle tower. Getting to the top doesn’t ultimately signify victory because each level has stashes of gold, collectables and of course, a timer for how fast you get up – all culminating in a bronze, silver or gold medal for your effort. This of course increases Catherine’s replay value and the versatility in levels makes them easy to come back to and enjoy once again. Once you have finally completed a puzzle stage, the game chooses to test your morality by asking you a question that affects the morality metre. These confessions serve as a way to congregate other Catherine players by showing a pie graph that shows how everyone else answered the question posed before you. Questions range from deep and engaging, to just plain ridiculous, but all serve to get you to a designated ending. Catherine does have other modes to engage with if you unlock a certain number of gold medals in the story mode, which is difficult enough in itself. Nevertheless, a competitive multiplayer mode can be unlocked that allows you powers similar to that of the bosses to try and stop your opponent from reaching the top of the tower. It’ll be a long while before you unlock this game mode though I assure you. Ultimately there is something very beautiful about Catherine. It is a game that unveils itself as a puzzle experience that challenges your resolve, speed and ability under pressure – but in reality it really seeks to enter your heart and challenge your morality as well as your emotions. Who’s right and who’s in the wrong? Whatever the case, Catherine is a devilishly difficult, yet delightful experience that is really unlike anything you’ve ever played before. Two distinct variations on gameplay are both entertaining – especially the nightmare puzzle towers, which are engaging, engrossing and very difficult. Beautiful artistic design, fantastic audio and a great narrative ensures the story is told well and you engage with the characters on many different levels. You can go back to the puzzle towers to try and get the gold medals and subs sequentially unlock the competitive multiplayer towers, but this is no easy task. Catherine is beautiful; it engages your morality at one moment and then tests your skill and resolve in exciting and tense puzzle segments in the next. The story is intertwined with emotion and it will keep you sucked in from beginning to the end. An excellent mix of story and gameplay makes Catherine a new experience you won’t forget. With the New Year well under way, titles will now start rolling out one by one in preparation for the busier months to come. NeverDead is an excellent example of a ‘filler’ game in which there are elements of fun but not enough to warrant a seal of excellence. This third-person shooter exhibits occasional moments of greatness, but all too frequently falls flat on its face due to inconsistencies in its core gameplay mechanics. If you’re willing to overlook a few fundamental flaws, hidden beneath is actually a thoroughly enjoyable action game that can very easily grasp your attention and hold on for a considerable period of time. At its core NeverDead is a third-person shooting title following the story of Bryce Boltzman (lol what a name), an immortal demon hunter. Now over five hundred years old, the bitter protagonist offers his services in exchange for money. The story concentrates on Bryce’s horrific past but portrays him as a stereotypical wisecracking hero to hide the real emotion lurking behind his eyes. Alongside Bryce is the completely annoying and uninspired Arcadia – a human detective full to the brim with horrific dialogue and frustrating AI tendencies. You may wonder how these two work as a pair and truth be told, they don’t. It’s just about passable but in terms of video game partnerships, this has to go down as a lackluster one. Fortunately when NeverDead throws you into the action, you will definitely have a good time. Reminiscent of Devil May Cry only not as complex (or anywhere near as good), this is a straightforward run and gun / hack’n’slash experience where you go from one environment to the next killing everything in your path. This generic style of gameplay gets a nice twist with some innovative mechanics that centre around Bryce not being able to die. When you are attacked in combat Bryce loses his limbs and it’s up to you to hop or drag yourself across the battlefield to piece him back together. Every limb including his head can be decapitated, which leads to some fun and rather bizarre gameplay mechanics. For example, if your arm goes missing holding a gun, you can still use it to blind-fire, giving you time to get yourself together (literally). This crazy system certainly has its fun moments, but at times can hinder the gameplay and disrupt NeverDead’s pacing. Enemies tend to lock you into loops where as soon as you reanimate, they attack and you become a pile of body parts again. Although this happens occasionally, it does happen enough times for it become quite annoying. You will also find that when you are only Bryce’s head, it’s quite tedious rolling around looking for your torso and occasionally getting eaten is pretty frustrating too. You may be wondering how on earth you can be stopped in this game, well aside from your head ending up as desert for a ghoulish monster, if Arcadia goes down and you don’t revive her in time, it’s game over. Arcadia tends to handle herself relatively well, but her mortal abilities make her pretty underprepared for the magnitude of demonic killing Bryce has to go through. When you’re not concentrating on finding your limbs spewed across the battlefield, you will actually spend some time slaying demons. NeverDead’s combat mechanics while not top-of-the-line are enjoyable. The various weapons, upgrades and freaking cool blade provide for some great mindless action, although the inconsistent camera, tough and somewhat unfair bosses and occasional environment hitches scattered across the game can hinder the experience somewhat. Then you also have the lax moments where Bryce is required to solve some puzzles by using his noggin, again, literally. There are plenty of hidden areas spread across NeverDead’s environments and you’ll have to throw your decapitated head into every little nook and cranny if you want to find the game’s collectables. While these puzzle sections are clearly optional during your journey, investing time in them is not only fun and rewarding, but it also gives you much needed experience points to boost Bryce’s various abilities and skills. NeverDead also offers online multiplayer content in the form of competitive and cooperative challenge modes. You can get stuck into horde mode style games, fight against other players to complete objectives or even team up to rescue civilians amidst various conflict scenarios. Everything present is decent, but not spectacular and that’s ultimately NeverDead’s problem as it scrapes the barrel and produces decent gameplay, but nothing really to write home about. The same can be said from NeverDead’s technical attributes. Decent control mechanics are paired with an inconsistent camera, decent audio is intertwined with poor voice acting and narrative, decent multiplayer is paired with unimaginative game modes and generally impressive and innovative gameplay mechanics are implemented in a game that simply cannot show them off successfully. It’s a shame really because you can very clearly see the potential NeverDead has, but unfortunately this potential is hidden amidst a mess of issues that make this a rollercoaster ride full of decent highs but incredibly frustrating lows. If you’ve run out of games to play and are looking for some mindless fun, then NeverDead is the game for you, but those of you looking for an impressive action-adventure title are best off waiting for the Devil May Cry HD collection to see how this genre really should be executed. NeverDead showcases some clever and innovative ideas but unfortunately is riddled with frequent inconsistencies and issues that make it very difficult to enjoy certain portions of the game, in particular the boss fights. The actual combat itself can be thrilling, although you have to brave a variety of issues in order to really get to the core of NeverDead’s fun mechanics. NeverDead isn’t the prettiest game by any stretch and most maps are riddled with trash and junk making them a nightmare to traverse and even more frustrating to look at. While the controls are relatively tight, the camera also does a great job at letting NeverDead down all too often. NeverDead offers a campaign then a little bit of variety in its online multiplayer modes. Again, if you’re a fan of mindless carnage, then there’s certainly replay value here for you. It’s very easy to load up NeverDead and just go crazy, but those of you looking for a little bit more than that will find it hard to come back to. Trying the harder difficulty will also lead to nothing more than frustration. Another excellent example of a game that showed signs of potential but fell over way too many hurdles. NeverDead has some interesting mechanics but fails to bring them to the forefront of what is otherwise a messy and inconsistent game. If a potential sequel was on the cards and the whole game was tightened up, this could make for a very fun and frantic action adventure title. For the time being however, this is unfortunately nothing more than a filler title as you wait for other games you want to come out in 2012. Soulcalibur is back once again with the fifth installment in Namco’s 3D fighting series. Soulcalibur V introduces a host of new gameplay mechanics and characters, but for every two steps forward it unfortunately seems to take a step back, making it very apparent that Soulcalibur V never really reaches the heights and aspirations you expect from such an iconic fighting series. At the heart of Soulcalibur V’s gameplay is a weapons-based 3D fighting game. The series has always been renown for a well-constructed entry-level difficulty curve; meaning players across various skill levels can pick up the game and have a good time. Unfortunately this mentality is a double-edged sword in this installment of the series. Soulcalibur V introduces a host of new mechanics with the Critical Edge system sitting comfortably in the heart of the action. Critical Edge acts very much like a modern Super Combo meter reminiscent of Street Fighter IV’s system – it allows players to use critical edge attacks, brave edge attacks and use guard impact as a form of parrying. All of these abilities require the use of segments from your Critical Edge meter and because it replenishes slowly, the use of these abilities becomes a skilful process that can swiftly change the tide of battle. Critical edge attacks have the potential to finish battles, while brave edge attacks offer combo links not previously available if the move is executed in standard form. Guard impact allows players to block almost any move and counter while the new just guard system replaces the traditional guard from previous Soulcalibur games. With plenty of new mechanics to take in, one would have hoped for a comprehensive tutorial to allow players an opportunity to learn and hone these various abilities. Soulcalibur V somehow manages to completely avoid acknowledging that these new mechanics are difficult to master and only provides a very basic tutorial system. As a result, players are effectively thrown into the deep end, forcing you to learn the ropes as you go along. This omission hurts both newcomers hoping to understand Soulcalibur V and veterans of the series wanting to get to grips with the new additions as quickly as possible. Despite that flaw, once you give Soulcalibur V enough time and get to grips with the various skills available, you will find an immersive and satisfying 3D fighting experience. Unfortunately well-rounded single player features do not support the great battle system implemented here. Soulcalibur V’s story is disappointing at best. You follow the tale of Patroklos and his sister Pyrrha as they embark on a journey to seek out the soul swords. Once again the game fails to really teach you how to use both characters effectively, leaving you to figure everything out on your own. The story is uninspiring, just like both protagonists, and after seeing last year what kind of story a fighting game can have (Mortal Kombat 9), it’s simply impossible to have any affection for this half-hearted attempt at a campaign mode. The most disappointing thing is the campaign is the majority of Soulcalibur V’s content. Those of you hoping for something like the challenge tower from Soulcalibur IV will be very disappointed because past the campaign there’s merely an arcade run, quick battle and an unlockable mode after you meet certain criteria. That’s pretty much it, thrilling right? Thank goodness for the multiplayer, which truly saves this sinking ship. The traditional ranked and player matches are available, as is a viewing window that allows you to watch while you wait for your turn to do battle. The online system ran smoothly on both machines from my time with Soulcalibur V and the much-needed variety in human gameplay really picks Soulcalibur V back up onto its feet. Soulcalibur V also brings back the traditional character creation mode, which is surprisingly entertaining. You can of course be serious or completely ridiculous, but however you choose to customize the characters, it’s plenty of fun and the addition of Devil Jin’s fighting style from Tekken as an option to use, you’ll be sure to create some very powerful characters. If character creation isn’t for you, then you’ll be happy to know that Soulcalibur V introduces ten new characters to the roster. Again, these additions are by no stretch magnificent and the majority of the characters are alterations of previous characters in the series. That being said, guest character Ezio Auditore from Assassin’s Creed is a well-rounded and entertaining addition to the cast and makes for a fantastic Soulcalibur character. From a technical perspective the Soulcalibur series has always impressed. The visuals in Soulcalibur V are astonishing. Fantastic character models and beautiful backgrounds that change depending on the tone and action in battle help create a thrilling environment around you. The audio for the most part is also very good, but the voice acting as always sounds a little cheesy. ‘Omissions’ is the main word I’d use here to describe Soulcalibur V. This instalment greatly needed extra game modes like the challenge tower and a comprehensive tutorial system to explain the new mechanics implemented into the gameplay. The actual game itself is a lot of fun, especially when playing against other human players, but when you look at what’s on offer, a bare-boned campaign and almost no substantial modes afterwards makes this a really dry instalment in the Soulcalibur series. Complex new additions to Soulcalibur’s fighting mechanics make this an interesting and engaging instalment in the series. Unfortunately this makes it a lot harder for newcomers to enter the battlefield. A lack of a comprehensive tutorial system really hurts the game. Soulcalibur V is a beautiful game, which is to be expected. The package itself is vastly disappointing, with minimal content and huge steps back in certain areas for the series. Soulcalibur V is a layered 3D fighter with plenty on offer, if you put in the time to learn the ins and outs of the all the new mechanics. Unless you play with friends, you will find almost no replay value here. I am disappointed because on a whole, the Soulcalibur series has always impressed me. Judging on gameplay alone, Soulcalibur V is actually very impressive as it offers a very advanced and enjoyable fighting experience. But a huge lack of depth, omissions galore, uninspiring new characters and negligence that not everyone can simply jump into complicated fighting games and understand them, really hurts Soulcalibur V. If you’re a fan of competitive online multiplayer in fighting games and enjoy learning the complexities behind these games, this is absolutely the game for you. Those looking for a casual fighting experience should wait for Street Fighter x Tekken.